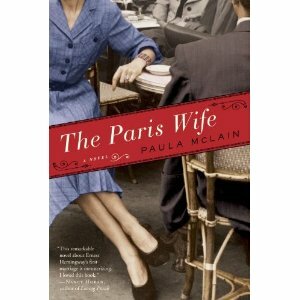 THE PARIS WIFE by Paula McLain was sent to me by Ballentine Publishing in ARC form. I was dying to get my hands on it. I love to read about Ernest Hemingway. I will read almost anything about his life, his wives, his writing. The era he became a noted writer is fascinating to me. One of the reasons I so love Key West is because of Hemingway. Paula McLain has so precisely done her research here. She has her finger directly on the pulse of Ernest Hemingway, Hadley Richardson, and all the people who comprised their lifestyle. This story is not just about their lives in Paris. The title of this novel pacts a punch. It sure got my attention, but it’s about Hadley Richardson’s life with Ernest. You get to reach out and touch the feelings that both Hemingway and Hadley are experiencing. It’s as if McLain was there in that life with them. She has so done her homework here. I felt like I was reading a journal written, mostly by Hadley, but also by Hemingway. At first, I must say I wanted more of Paris. I wanted more sights, smells, and scenes. But as this marriage began its downward spiral, Mc Lain began to expound on all the things I had felt were missing earlier on. The novel is set up perfectly from the start. We are given an in depth litany so we can understand where Hemingway and Hadley have come from. Anyone who knows anything at all about Ernest Hemingway knows he was married over and over again. So, we know right from the get go that this marriage is doomed from the onset. But I now feel I know more of why none of Hemingway’s marriages worked. His struggle with alcohol and depression were too much for him to bear. But the lovely way this story is told gives me great insight into what maybe was the way it was with Hadley and Hem. We know how the story ends, but this is a story that will go on and on forever and always be a classic. 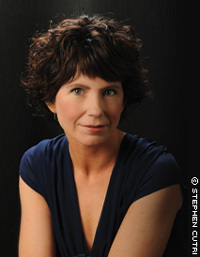 Paula McLain is a novelist to watch. Editor jumped the gun on this one. Will not be on sale until Feb.22. But, you can read an excerpt in this month’s Good Housekeeping magazine where they have an exclusive!